COMPASSION: When Nelson was elected president of the National African Congress, he appointed his lifelong friend, fellow organizer and colleague Oliver Tambo as his national chairperson. COLLABORATION: In 1993, both Nelson Mandela and President de Klerk were awarded the Nobel Peace Prize for successfully navigating the country towards its first multiracial election. This was a hard job, as the roots of apartheid were still strong in South Africa. Many people called for a complete transfer of power from white politicians, back to the Blacks from whom it was taken during colonization. The negotiations were complicated, and there were often violent outbursts, assassinations, and armed protests. During this time of intensity, Nelson and President de Klerk remained committed to finding balance while understanding the anger of the resistance. RESPECT: Nelson respected the humanity of all South Africans, and created reforms while he was in office to create more jobs, housing, and basic health care so that everybody’s needs could be met regardless of their racial identity or economic status. Nelson Mandela was born in 1918 in a small village in the eastern part of South Africa. He was given the name, “Rolihlahla,” which in his language means “troublemaker.” His family was of mixed class, meaning he was descendant of both royal and non-royal blood. His father was a councilmember to the king, and Nelson was supposed to inherit the job when he grew up. But, when Nelson was still a baby, his father lost this job because of a disagreement. At the time, South Africa was under British Colonial Rule, and there were many disputes about the way things should be done. Nelson’s childhood was rather traditional; he learned the customs of his tribe, like cattle herding. He spent a lot of time playing with friends and locals his age. His parents were Christians, so he was seven he was sent to a local Methodist school, where, due to the bias of the education system, he was given the British name, Nelson, by his teacher. When Nelson was nine years old, his father passed away. He was adopted by a local chief, and he was sent to a new city to live. Though he missed his village, he adapted to his new life. He was given more opportunities, education, and responsibility. When he was sixteen, he prepared to undergo a traditional rite-of-passage that honored his transition into manhood. However, as he prepared, he became sad because he realized that he and other Black men would not have the right to govern themselves as long as they were under British rule. 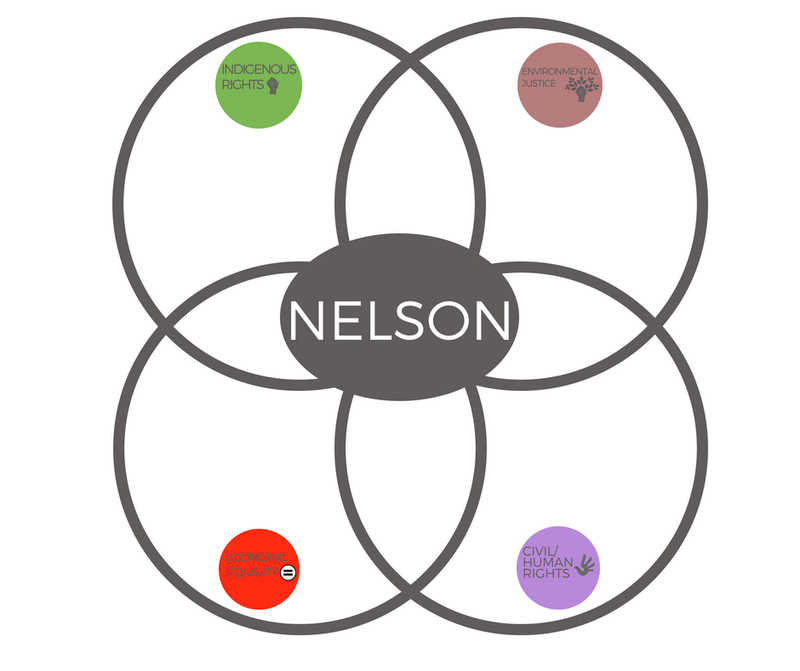 Nelson focused his efforts and fought against apartheid, which is a system where non-white citizens were segregated from whites and did not have equal rights. He became a leader in South Africa, and worked hard to protest the racism where he lived. However, the government was not comfortable with his efforts to dismantle their colonial system. A growing sense of mistrust was building, and the pressure to take dramatic action increased. Even though Nelson had been committed to nonviolent protest, he started to feel as though armed resistance was the only way to make a difference. He was desperate to end apartheid. In 1961, Nelson planned an armed workers’ strike. He was arrested and sentenced to life in prison. 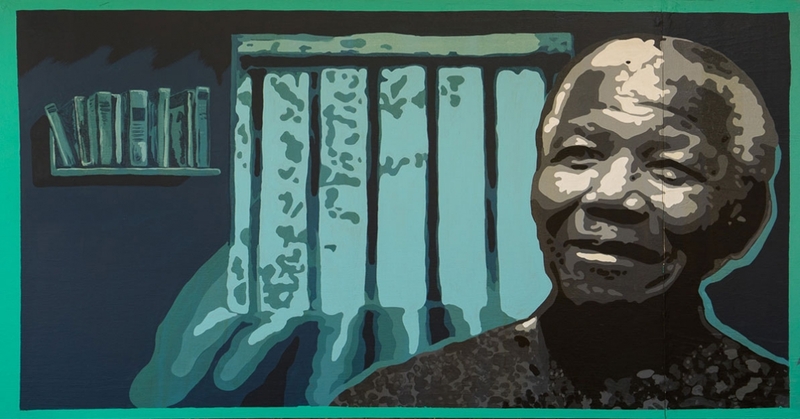 He went into prison in 1962, and was not released until 1990 after twenty-seven years of international pressure, political activism, and a new president. When Frederik Willem de Klerk, took power, he promptly announced Nelson’s release. Where most people would have become angry and bitter, Nelson stayed motivated and used his time in prison to learn and study. While he was incarcerated, or behind bars, Nelson earned a Bachelor of Law degree through the University of London. When Nelson was finally released. He didn’t waste any time in organizing. While he wanted peace in South Africa, he refused to let it come at the expense of the Black majority. He urged foreign influences to put pressure on South Africa to reform its constitution and grant Black South Africans the right to vote. In 1994, this dream became a reality when South Africa held its first democratic election. Of course, Nelson won, and became South Africa’s first Black president. Standard 6.T.CR.1: Develop imagination to create artistic ideas and work. Standard 7–8.E.CO.1: Access, evaluate, and use internal and external resources to inform the creation of media artworks. Standard L1.E.CR.1: Use identified generative methods to formulate multiple ideas, develop artistic goals, and problem solve in media arts creation processes. Standard L1.E.R.1: Analyze the qualities of and relationships between the components, style, and preferences communicated by media artworks and artists. Standard L1.E.R.2: Analyze how a variety of media artworks manage audience experience and create intention through multimodal perception. Standard L1.E.R.3: Analyze the intent, meanings, and reception of a variety of media artworks, focusing on personal and cultural contexts. Standard L1.E.R.4: Evaluate media art works and production processes at decisive stages, using developed criteria and considering context and artistic goals. Standard L1.E.P.1: Integrate various arts, media arts forms, and content into unified media arts productions, considering the reaction and interaction of the audience. Standard L1.E.P.2: Demonstrate progression in artistic, design, technical, and soft skills, as a result of selecting and fulfilling specified roles in the production of a variety of media artworks. Standard L1.E.P.3: Develop and refine a range of creative and adaptive innovations in addressing challenges and constraints within and through media arts productions. Objective: Students will reflect on self-identity vs. public-identity. They will consider their own self-image, then find images in magazines that represent the way they see themselves. They will then create a self portrait using these images in a collage. Tell students: Nelson Mandela thought of himself as a changemaker; this is what gave him the courage to persist. But the government saw him as a criminal, and this public perception was strong enough to put him behind bars for twenty-seven years. But he never saw himself as a prisoner, and his inner-strength eventually helped the people of South Africa look to him as the President of their country. How can public perception change, in one person’s lifetime, from criminal to presidential? Now, ask them if they think the public sees them as they see themselves. Why or why not? Students write reflections in journal and share, either in groups or as a class. Now, students will create a self portrait. To do this, they will first cut out images of things that they like from magazines. These images should be of objects, people, or activities with which they self-identify. Then, ask students to look at their face in the mirror and block out their basic shapes and features – head, skin, eyes, hair, clothing, accessories, etc. Next, have them divide their images into piles based on the colors they will need to complete their portrait. Finally, students cut and glue images into a collage of their face. Based on your self-portrait, what parts of your identity come through the most? Is it always easy to see people’s true identities? Why or why not? In history, why do you think some people are defined as criminals for wanting to create change? Are laws always good or ethical? Why or why not? Can you think of other leaders who were called criminals for the change they wanted to create? Who were they? What did they stand for? Think locally and internationally! When the government called him a criminal, how do you think Nelson Mandela found the strength to remember his true identity and not believe what he was doing was wrong? Create groups of two. Assign one student to be the leader, and the other to be the reporter. For two days, the “reporter” will follow the “leader” and write down memorable quotes, insights, and bits of wisdom that they say. Then, the partners will switch. After the exercise, have students print their partners’ quotes out and give them to them, so they know how they are interpreted by other people. Let students add them to their self-portraits, or create a new work of art with the quotes. Put students into pairs. Ask them to create a portrait of their partner. Then, they will compare their partner’s portrait to their own. What parts of the identity are the same? What parts are different?